On-page SEO goes a long way for improving search engine visibility. And a pillar of on page SEO is image optimization through alt text. So in this post, I’ll show you how to write SEO friendly alt text for images. What Is Alt Text for Images? Alt text is a text alternative description of an image. It’s useful for site visitors unable to see the actual image content. When a visitor can’t see your image, the alt text appears in a blank box that would normally contain the image. Why is Does Alt Text Affect SEO? Search engines want to provide quality results to their users. And because they want to provide quality results, sites making their content as accessible as possible get preference. Also, providing an alt text reinforces the keyword you’re targeting. But as always, don’t think of SEO from a keyword perspective. Instead, think of it from a user perspective. Where your goal is to provide value to your visitors. You’ll have a target keyword in mind if you want to write SEO friendly alt text for your images. Mention your target keyword where possible in your alt text. 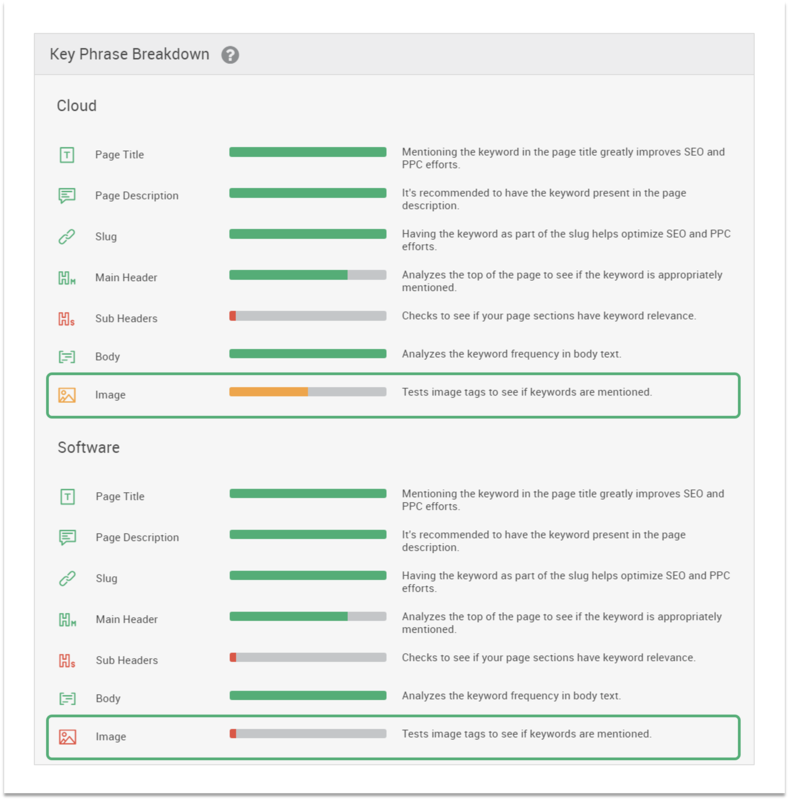 Then check to see how well optimized your images are using Pagezii’s SEO grader. In the image above, you can see the status of your alt text score. In our example, the image alt text icon is red. So there’s room to improve. In our example, we’re not mentioning the keyword “software” in our alt text. Now we know where to improve to boost search visibility. Remember why alt text exists? It’s to provide a text alternative to an image. And the point of an image is to convey a message quickly. So, apply the same mentality to your alt text. You don’t have to write an entire paragraph of alt text when describing an image. You just have to capture the essence of it. Let’s pretend your blog post uses an infographic. All your alt text needs to include is your target keyword and “infographic”. Users generally know what an infographic is. Stay away from explaining the infographic in fine detail. The best technique you can use from an SEO perspective is to keep your alt text accurate. By doing this, you’re inherently providing value to readers unable to see your images. And this is exactly what helps you climb search results. So we’ve covered the dos. Now let’s quickly move on to pitfalls you should avoid. Keep alt text concise. The point of alt text is to convey a message behind the image. So the less convoluted the alt text, the better. Don’t spam your target keyword. Mentioning your target keyword appropriately is important. But abusing it will hurt you. So, the moral here is to mention target keywords when it makes sense. Just like any other on-page optimization. Don’t mislead. If your image is a cloud software infographic, use that in your alt text. Don’t say it’s an IoT technology solution. In the context of your written content, this is going to throw your readers off. Meaning a bad user experience. 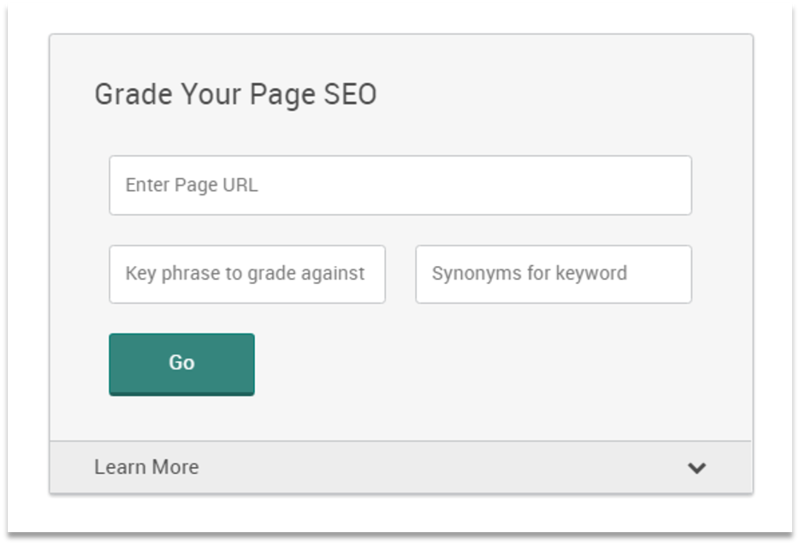 Writing SEO friendly alt text is simple. But there is a right way to go about it. And in this blog, we covered three techniques you can use to make sure your alt text is on point. Use the techniques you learned in this post next time you publish content. And don’t forget to SEO grade your images to help pique the search results page.